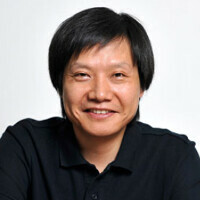 Back in March, Xiaomi CEO Lei Jun said that he expected the company to ship 80 million to 100 million handsets during 2015, up from the 61 million units delivered in 2014. It has been an incredible ride for Xiaomi, from the 18.3 million handsets sold in 2013 to last year's figure. And 2015 got off to a great start with 34.7 million phones sold by this July. By this past summer, Xiaomi certainly seemed on target to hit the forecast made by its CEO. But Xiaomi's competition started copying some of its sales tactics including the use of flash sales. In addition, manufacturers like Huawei and Lenovo started offering value priced phones, hitting Xiaomi exactly where it lives. Lei also indicates that it is Xiaomi's management style that is responsible for its success, and that this can be migrated over to other electronic devices, allowing the company to become successful with other products other than smartphones. Speaking of the latter, Xiaomi stands ready to sell a ton of Xiaomi Mi 5 units. Powered by the Snapdragon 820 SoC, the Mi 5 will embody the high specs at a low price philosophy that has guided the company since the beginning. While the phone will arrive too late to be considered for 2015's shipping figures, it might just be the handset that Xiaomi uses to land in the U.S. And that could be more important in the scheme of things, than hitting an arbitrary shipping target. Over saturation.. Could this be the rise and fall of smartphone, just like tablet? No. Xiaomi simply is not aggressive enough about global expansion. That is the main difference why Huawei is bigger than them now. I agree, so far main focus of Xiaomi are mostly the Asian country, and they just started the expansion to the Africa region. Thus their market share is quite narrow at this moment, since most of the Asian region that they penetrated and been go through mature stage(assume most of the customer that they focus on had bought a Xiaomi device), if they still don't expand it to Europe or America region, their market share will narrow even further.